making it fun: Quiltmaker's Butterfly Forest Blog Tour! 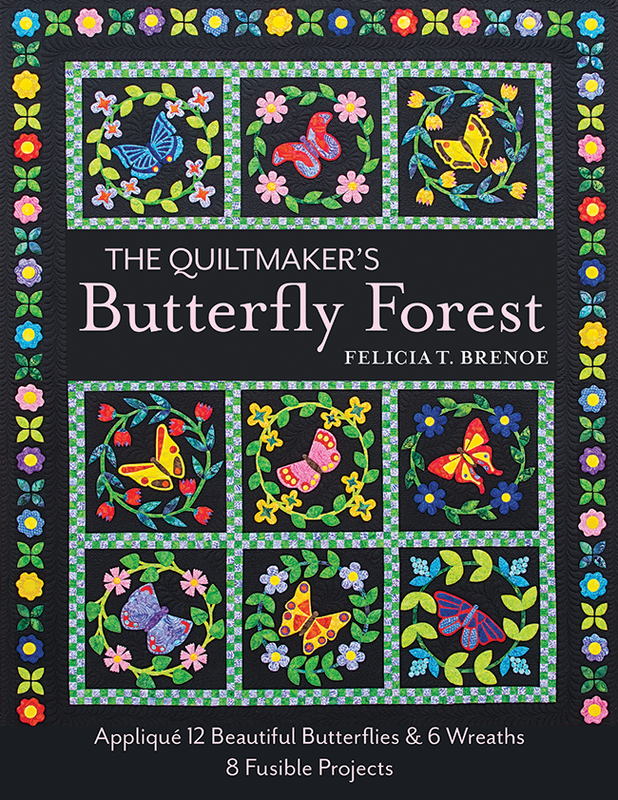 Our friend, Felicia Brenoe, of Felicia's World, wrote a lovely book called the Quiltmaker's Butterfly Forest. The idea for the book was realized on a trip to the Ecuadorian Amazon. Felicia was inspired by all of the beautiful butterflies which made their way to the pages of her book. 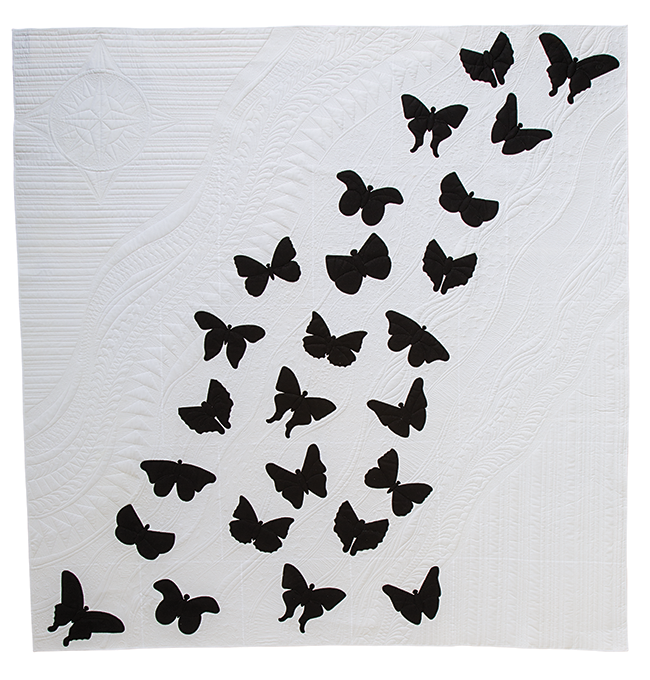 Butterflies Rising (pictured below) was created using black and bright white Cotton Couture- it's gorgeous in its stark contrast.. like the shadows of butterflies in flight. Detail of the quilt and the amazing quilting! To win the Michael Miller Cotton Couture bundle, just let us know what color Cotton Couture is your favorite. One lucky winner will receive their color choice along with the bright white background fabric. To view Cotton Couture-> Click HERE. Danette Stankovich said..."My favorite is Lavender SC533-LAVE-D. Beautiful!" SC5333-COFL-D. This is just gorgeous! My favorite color is SC5333-PLUM-D. Since I can only choose one, it would be the SC5333-WATE-D, a beautiful red! Always love the look and feel of the Michael Miller fabrics! Keep up the beautiful work. 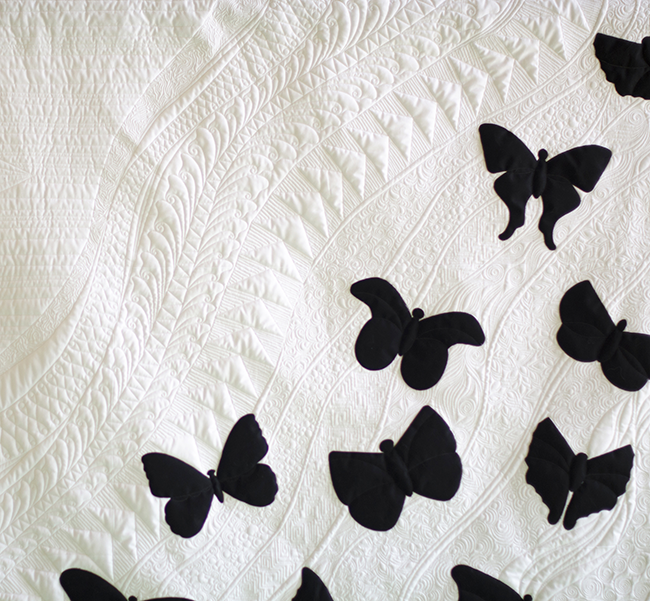 I've used Cotton Couture in several quilts, and just love to pet them. My current favorite color is SC5333-CHER-D, a cheery cherry. I love the mist collection. To be specific SC5333-MIST-D. Thank you for all of the inspiration and a lovely giveaway. My favorite color is SC5333-Plum-D. It looks so lush and royal! What a gorgeous quilt! My favorite Cotton Couture color is SC5333-PECO-D. Thanks for the awesome giveaway! I absolutely love this fabric. So soft and wonderful. I need about 5 yards of black and 5 yards of red SC5333-WATE-D for my next two projects. My favorite (today) is SC5333-MARI-D. Each is lovely so on another day another color might be the fav. SC5333-ELEC-D I love collecting the natural turquoise stone too. Cherry is my favorite color of Cotton Couture, though it wasn't an easy choice. Such luscious colors! What a beautiful quilt! 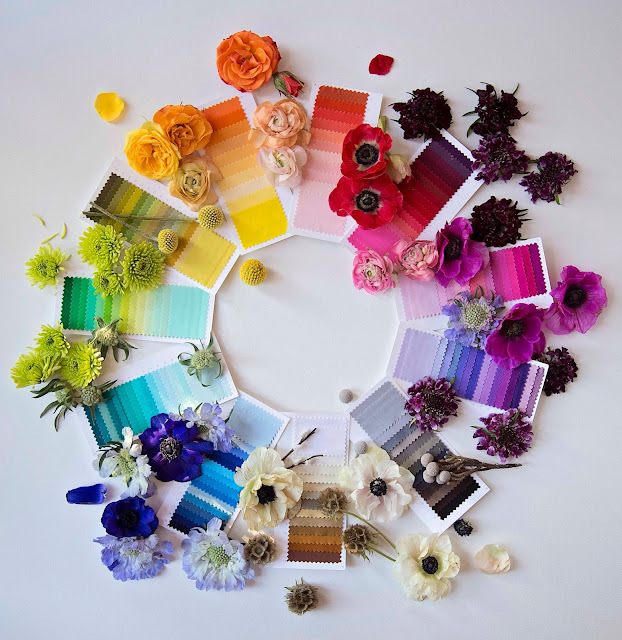 Such lovely colors. I especially like the color: SC5333-POME-D cotton couture. Love the color Haze. It looks like it would make a great background color for many kinds of quilts. Oh My! Those Blues Are Awesome!SC5333-CADE-D and SC5333-ELEC-D are two of my favorites by cotton couture! It's impossible to pick just one favorite but among them is SC5333-HYAC-D (hyacinth). Playing with gorgeous colors is why I started quilting! thanks for the opportunity! hi - I love the black and white butterlies so my choice would be SC5333-BLAC-D - thank you. I would love to make butterflies in Lavender, Hyacinth, and aqua. So hard to pick just one but I'll go with Mermaid or any of the aquas!